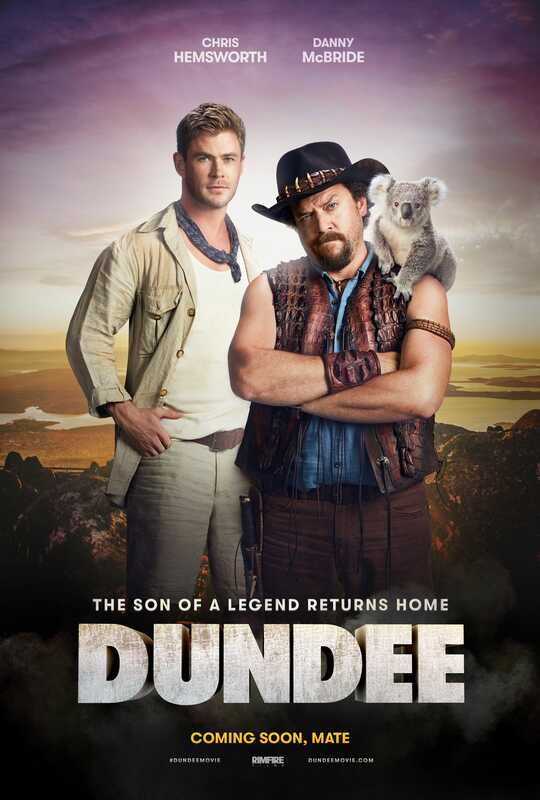 Tourism Australia‘Dundee: The Son of a Legend Returns’ is actually an advertisement for Australian tourism. The internet went crazy when the trailer “Dundee: The Son of a Legend Returns” starring Danny McBride went online. In late January trailers started showing up on the internet for the movie, “Dundee: The Son of a Legend Returns Home,” with Danny McBride playing the son of “Crocodile” Dundee, the title character of the 1980s hit movie. The first trailer, which got over 1 million views, had McBride dressed as Dundee saying “G’day” and playing with his giant knife. The second trailer got over 2.5 million views and featured Chris Hemsworth as McBride’s Australian sidekick. By the time the “cast intro” video was released – which along with McBride and Hemsworth featured Hugh Jackman, Margot Robbie, Russell Crowe, Isla Fisher, Ruby Rose, and Liam Hemsworth – the jig was up. Australian newspaper Brisbane Times found out that this was all part of an advertising campaign for Australian tourism. The commercial starts off like the others, the trailer for a movie starring McBride and Hemsworth, but then Hemsworth suddenly takes McBride’s Dundee character to a winery and fancy restaurant that has the Sydney Opera House in the background (there’s even a cameo by “Crocodile” Dundee himself, actor Paul Hogan). That’s when McBride realises this is a commercial to come to Australia. He instantly jumped on. Like the Mountain Dew videos he’s done (and the hilarious one for Southern Comfort), he loved the idea of coming in on an idea and adding his style of comedy. Not to mention getting the chance to mess with people. The week-long shoot that was done last Thanksgiving was a campaign directed to American audiences to make Australia one of their vacation destinations in the coming years. The campaign cost $US27 million, according to a Tourism Australia press release sent out Sunday. Looking back on the attention the fake Dundee movie got, McBride admits he’s a little surprised how many people were into the idea. But don’t expect a real son of Dundee movie coming soon. McBride has a better idea for a movie starring he and Hemsworth. “Chris and I had never worked before and we had a blast on this, so who knows, maybe me and him can come up with something to do together – maybe we’ll be the children of ‘Mad Max,'” McBride said.